Remember those days where airplane food was actually edible and it was the only excitement on an entertainment free flight pre digital devices? That's kinda how I feel about receiving my Graze boxes. Compartmentalised treats to break up the working day, they are particularly good for stashing in your work drawer for the 4pm (ok, ok and 11am and 1pm) slump. 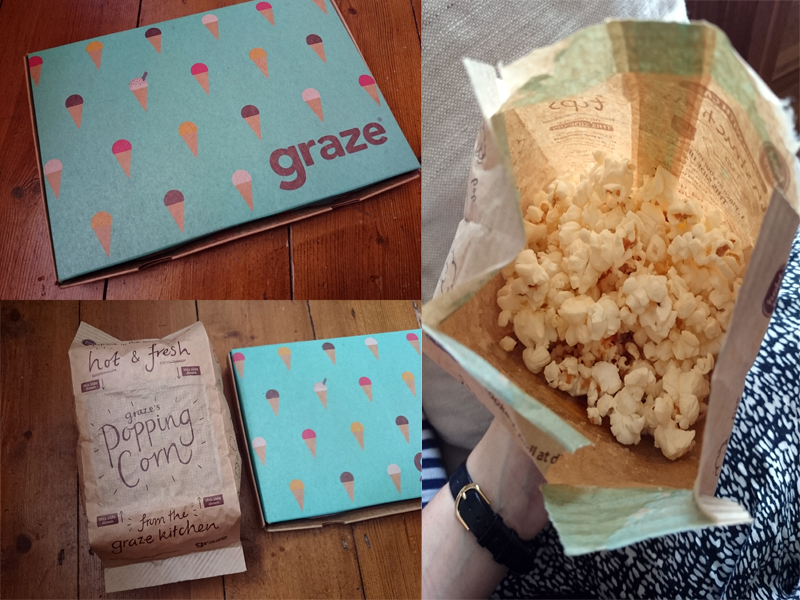 Graze boxes have also come a long way since the early days. The choice is huge (130ish choices) and they are far from the usual pack of nuts and seeds you may have once thought of them being. 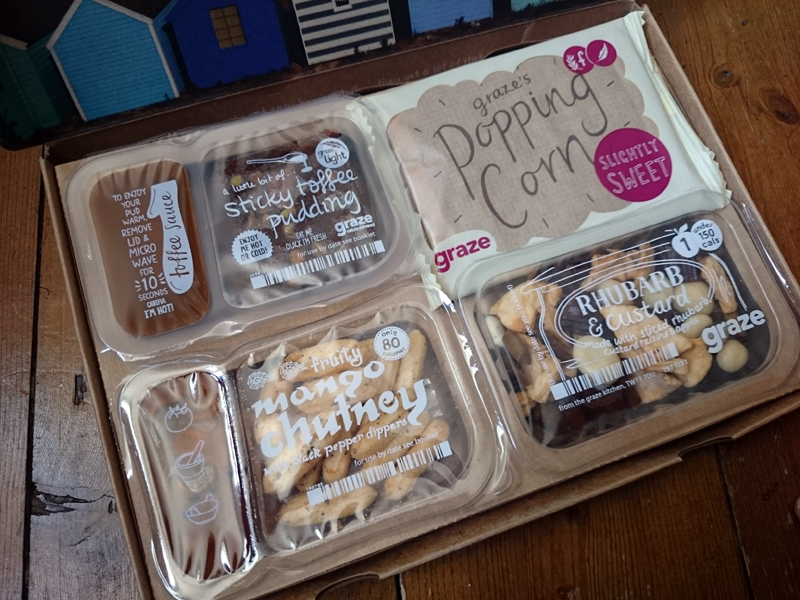 Squares of gooey cake with heatable dipping sauces, pots of fiery chutney to dip into, soups and even tiny sachets of popcorn that magically transform into a pretty huge snack. Someone up at HQ is thinking outside the Graze box, clearly. Even the classic dried fruit, nut and seeds mix has been reinvented through inspiration of loved dishes. My "rhubarb and crumble" mix was delicious. The chewy, tart dried rhubarb against custard coated raisins and apple pieces worked perfectly. All the snacks tasted good and felt like a real treat. They are all quite healthy on the whole too (every snack has at least one nutrition badge). The site and ordering process is very smart too and will take into account all your likes and dislikes and enable you to tailor your boxes whilst still keeping the surprise element going. You can also choose from different box styles like classic variety, light (under 150 cals), breakfast or even kids boxes. I think for £3.99, it's not bad value at all for the quality, freshness and service and a small price to pay for a weekly or fortnightly treat. Less than that large glass of vino down the pub. 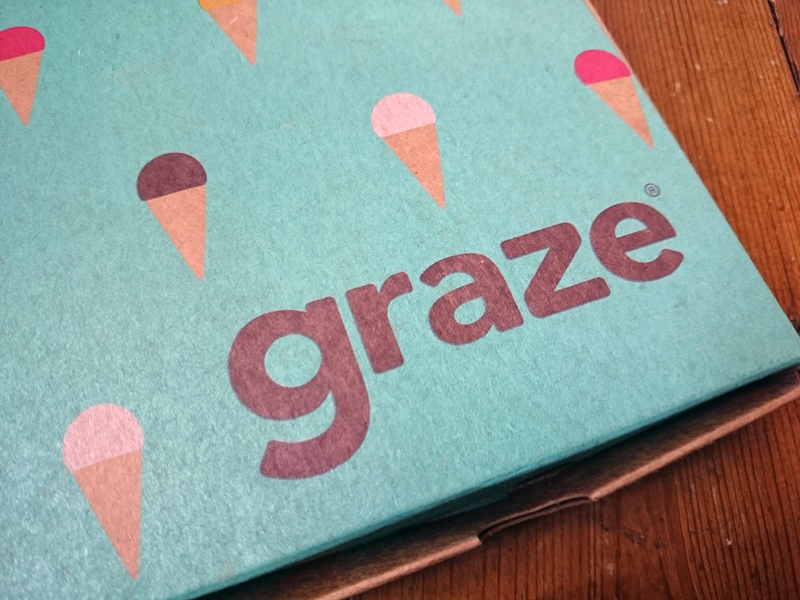 Anyway, If you fancy trying one for free (no pressure to continue ordering), then just visit https://www.graze.com/p/GRAPHICFOODIE to claim.